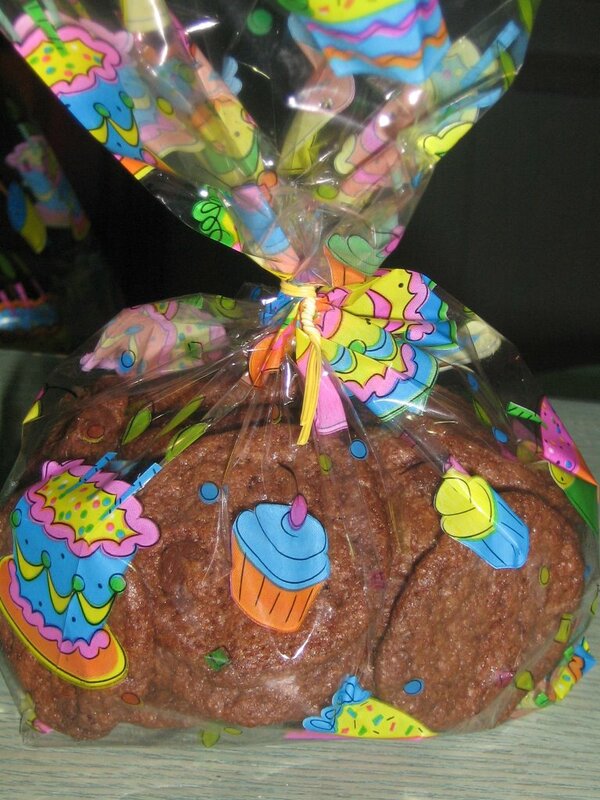 M3rNi3: Cookies for Tihani's Teachers! It is Teacher's Day tomorrow .. I was indecisive .. should I bake or should I not? but I wanna give Tihani's teachers a lil something to show my appreciation. I was afraid that if I were to bake, it wouldnt turn out well. The clock showed 5.30 pm .. I was still undecided. After work just now, I went to Parkway Parade (PP) to buy cookies from Famous Amos and get them packed in a nice lil package for Tihani's two teachers - Teacher Ainn and Teacher Zai. 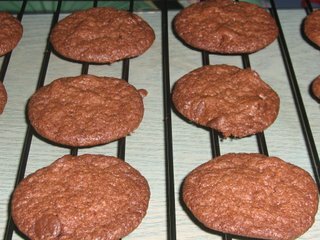 I reached home, took out the butter from the freezer, went thru one of my cookbooks and started to whip Triple Choc Cookies, which have a combi of cooking choc, cocoa and choc chips in it. Haha .. i must be crazy to have done this but I did .. i wanted the teachers to have something home made .. oh ya, i even made them self made cards too. 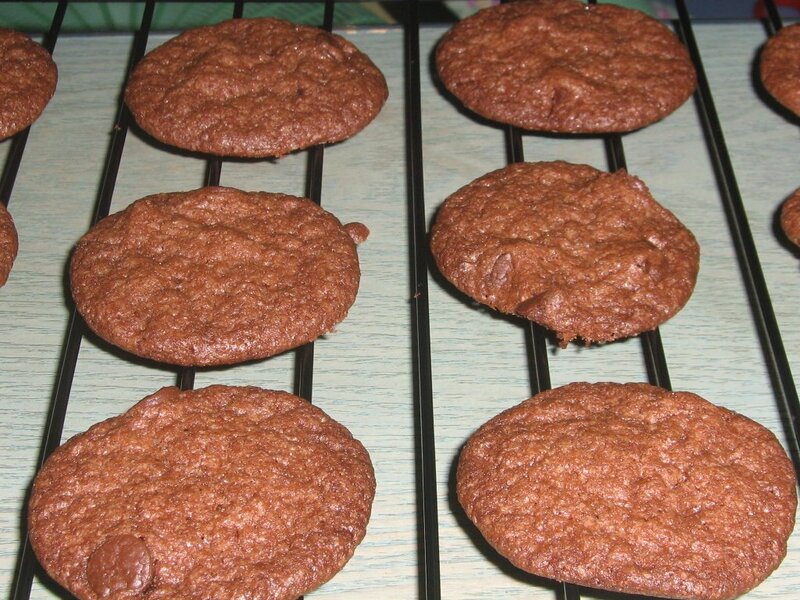 The cookies cooling on a rack. The homemade cookies packed in a package ready to be given to the teachers. Melt butter and cooking choc in a microwave oven or using double boil method. Gradually add eggs, mix thoroughly after each addition. Then fold in choc chips. Bake for 13 mins until cook.